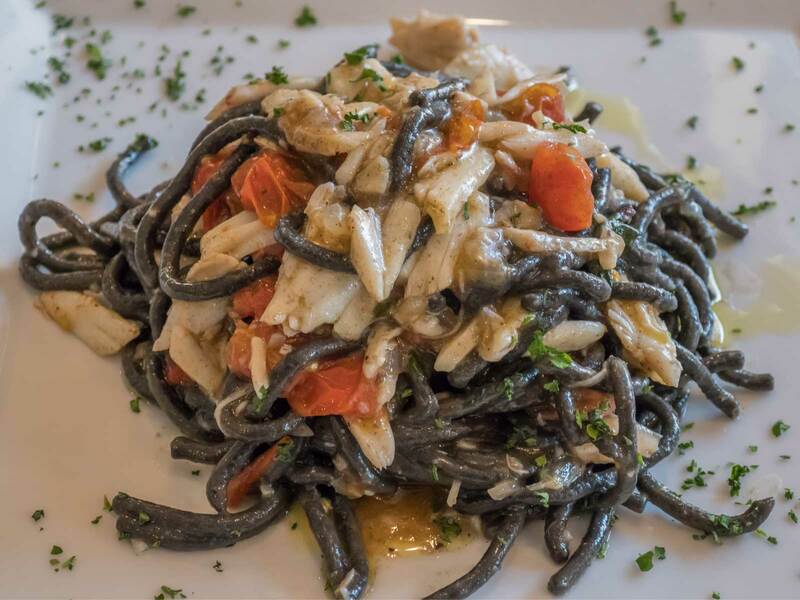 This squid ink-infused spaghetti dish is made in-house at La Tavola. What makes it a Baltimore experience is the Maryland crab meat, which the state is famous for. It’s topped off with spinach and cherry tomatoes and served in a white wine garlic sauce. Sabatino’s has been a favorite of professional wrestlers since the 1980s. Pictures of famous patrons line the walls of this Little Italy institution. Ric Flair was known to send his limo to the restaurant for takeout whenever he was in Baltimore. Andre the Giant had his own table at Sabatino’s and even stormed out in anger one night when one of the owners told him that he liked “the show.” Andre went back several times before his death and even Jim Cornette thought enough of this place to do a blog post about it. 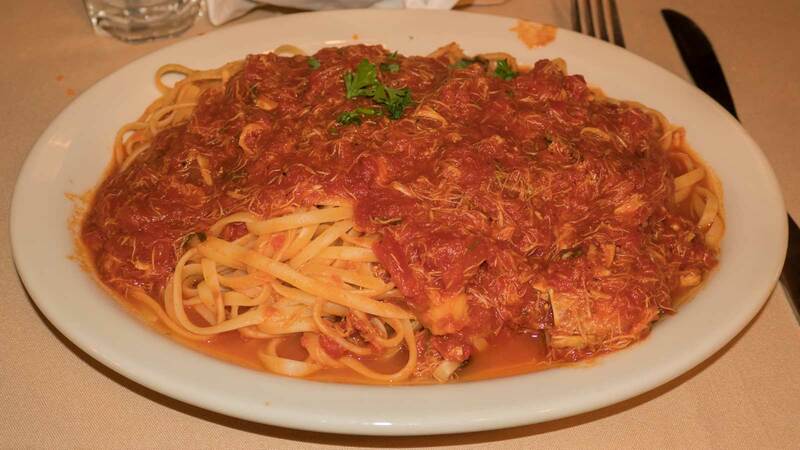 The crab marinara is a seasonal special and a must-try when it’s available. Orzo resembles rice is its shape and is common in Greek cuisine. 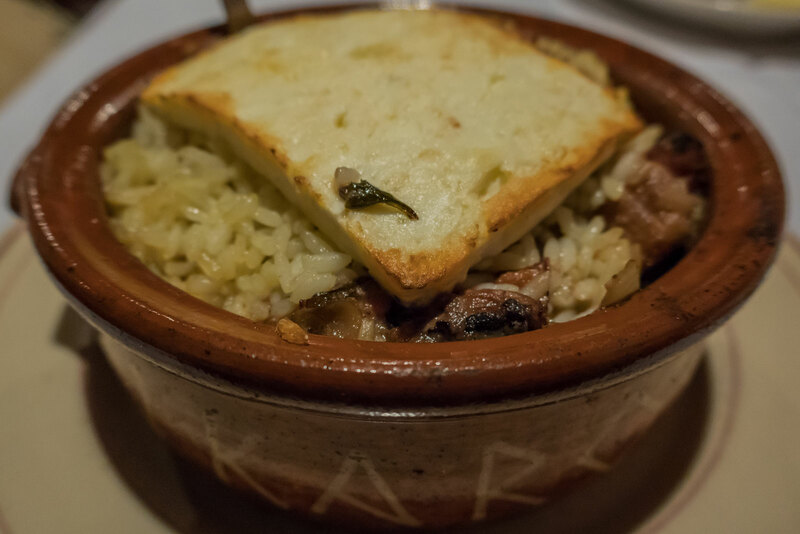 At Ikaros, in the heart of Baltimore’s Greektown, giuvetsi dishes are baked in a wine and tomato sauce with your choice of beef, lamb, or seafood and topped with a thick layer of melted feta cheese. La Tavola is one of the more upscale restaurants in Baltimore’s Little Italy. They are known for their specials as well as their creative interior design. 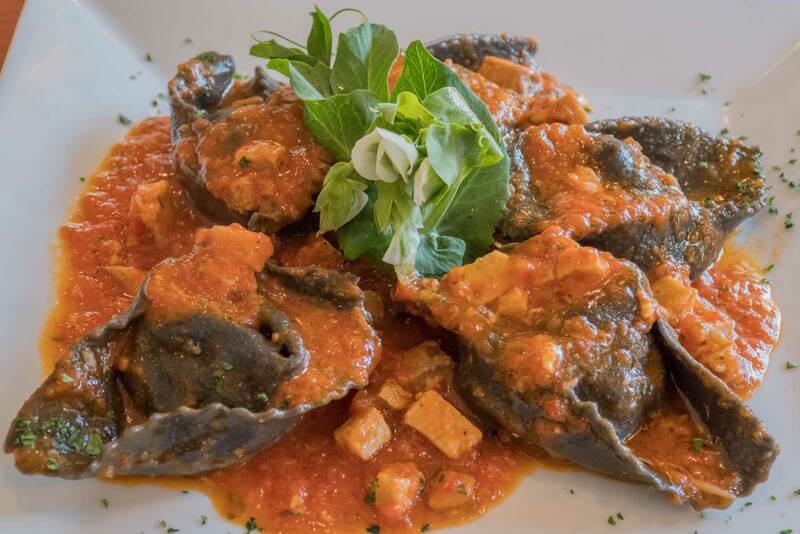 Their squid ink seafood tortellini is on special from time to time and it’s a must-try for lovers of black pasta. Pastitsio is of Southern Italian origin. You’ll find different takes on pastitsio in Cyprus, Egypt, and Malta, but the dish itself is most notable in Greek cuisine. Ikaros owner, Xeons Kohilas is adamant about sticking to the traditional Mediterranean recipes. At his restaurant, ground beef is mixed among layers of golden baked macaroni. The pastitsio is held together by cheese and topped with a bechamel sauce. Oh I had charcoal ramen recently and it was quite similar, except I am vegetarian. I can’t believe how appetizing Pastitisio looks though. All that cheesiness! This is bad timing to see this blog. I already ate, am stuffed, and managed to just get hungry again. Especially that macaroni lasagna looking pastitsio thing! This looks so delicious!! I love pasta and so doesy family and that crab marinara looks amazing!! That squid ink-infused spaghetti dish looks so good. I have only had squid ink in paella before but would love to try it in pasta. Those are some great dishes, unusual too.! These dishes look great, I have always loved pasta and I like trying different kinds using various sauces to go with them. Those dishes all look amazing. I love all of the pasta dishes that you have here although I have never tried the squid ink infused spaghetti. That does sound interesting. This made me so hungry. Pasta is my favorite dish. 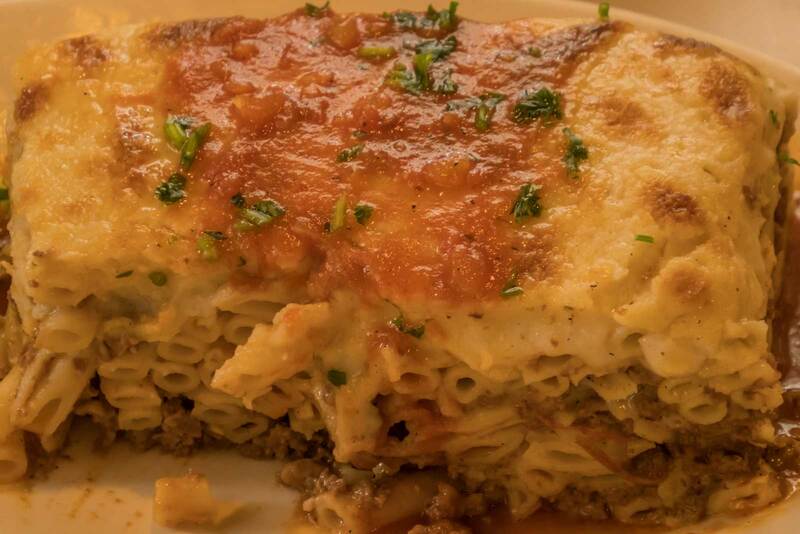 I had lived in Greece for 2 seasons but never heard about PASTITSIO, reminds me of moussaka tho. These dishes looks delicious and amazing. I hope to visit Baltimore soon and would try this. I love Greek food. I just had pastitsio a few days back at a greek restaurant and couldn’t stop raving about how yummy it was! Pasta has definitely got to be my favourite comfort food! These are all looks a yummy dishes and I’m sure my hubby would surely love this too. I wish I can visit there soon and try their foods.